The dedicated experts you need for stump removal. For nearly 20 years, Green Light Tree Service has been proudly servicing the tree care needs of Long Islanders. Our team of highly trained and experienced professionals is completely dedicated to providing outstanding results for each and every client we work with and always goes the extra mile to ensure that all of their needs are met. Residential and Commercial Stump Removal and Stump Grinding Do you have an old stump sitting on your property? If so, then you really need to consider having it removed. Apart from being an eyesore, tree stumps can be a serious hazard. They attract disease and unwanted pests, like wood-boring insects and vermin, they can sprout new and unsightly growth; plus, tripping on or moving over a tree stump can cause severe injuries. By removing those tree stumps, you can avoid major issues, improve the safety of your yard, and restore its beauty, too. Whether a tree has fallen on your property or you’ve recently had a tree removed – or that tree stump has just always been there – tree stump grinding and stump removal are absolute musts. No matter how big or how small, the highly trained staff at Green Light Tree Service will gladly remove and grind any stumps on your property. Safe Stump Removal and Stump Grinding from Long Island’s Leading Tree Care Company Tree stump removal and tree stump grinding is a complex process. The right tools and equipment must be used in order to fully remove the stump, and ample experience is necessary to ensure safety. 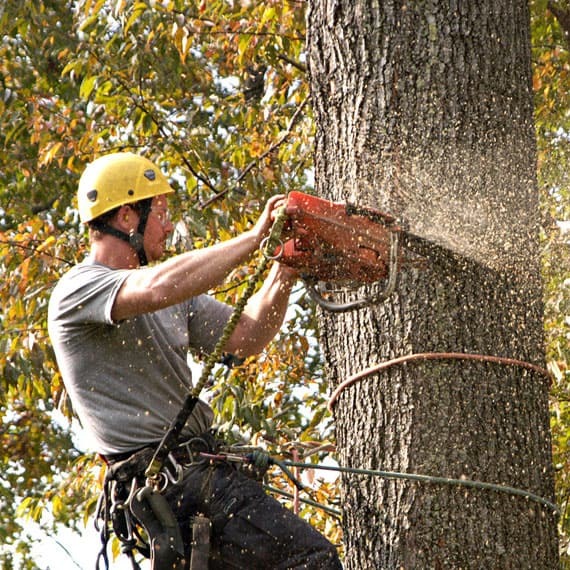 Green Light Tree Service uses state-of-the-art machinery and the most advanced techniques to ensure that your tree stumps are completely removed. Our stump grinding and stump removal process is proven to be 100% effective and safe, and will leave not a trace behind. Our family owned and operated, fully licensed and insured tree service company can handle all of your stump removal and stump grinding needs. To schedule an appointment or to learn more about our tree care services, contact Green Light Tree Service today! We look forward to working with you and improving the beauty of your yard with your tree stump removal and stump grinding services. Take advantage of our exceptional tree and stump removal services today and get FREE woodchips or FREE firewood! You can be sure that you'll always receive the superior service and expert work you deserve when you choose Greenlight L Corp. Tree Service! Contact us today to book your service.